Enjoy a hassle-free departure from Bangalore with this private Bangalore airport transfer. Meet your driver at your hotel lobby or any adress and relax on the journey to Bangalore KIA Airport. These private vehicles can accommodate up to 4 passengers. 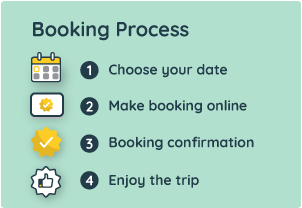 Simply enter your details when you book, pay in advance, and then show your voucher to your driver meets you at your location. Private one-way transfer from Bangalore hotels or home to Bangalore Airport. These prices are valid only for single pick up and single drop location. Please inform us about your pick-up address and flight details during check-out. Oversized or excessive luggage may have certain restrictions, please inquire with us prior to booking to confirm if your excess luggage is acceptable. Flight was 15mins late, but Driver waited patiently. Good experience.